Logistics recruitment is not an easy task. The logistics and supply chain management industry has a very small pool of quality candidates, so it’s important to weed out the undesirables before they affect your business. 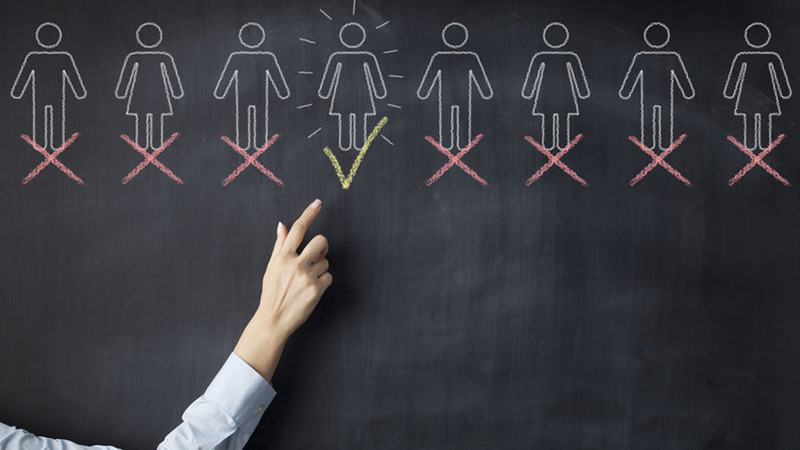 One of the most effective strategies for recruiting top talent is to create an internal hiring process, but many small businesses don’t know how to do this effectively. This blog will outline key principles you can utilize to create a simple recruitment process for your company. The key here it to keep it simple. That way you’ll have a hiring process that is effective and easy to replicate, giving your logistics business the best chance of getting right every time. You are not the same as the person next to you. Everyone is different. We have different strengths, weaknesses, and values. The same concept applies to businesses. Every company has its own personality. You spent time to define your mission, vision, and core values (if you haven’t you need to… now, go do that, we'll be here when you get back). If your company lacks personality, customers won't hesitate to go to your competition charging $1 less! Ok, so let’s explore what it means to have “The Right Person for the Right Seat”. The right person. This means finding people that share the same or similar values as those held by the company. For example: honesty, passion, and integrity. A business is its people. You can’t expect to deliver the promise of “honesty and integrity” to your customers if the people you hire don’t share those values. You can only achieve this is if you hire people that share the same values that your company aspires to live by. Finding people that match your company values can be challenging, but not impossible. The right seat. By this I mean hiring people that have the skills and knowledge (or the potential) to do the work at hand. If you need an accountant; you need someone that has some accounting knowledge or accounting skills to do the job. Academic achievement and experience are often the basis used to assess a candidate skill level. I also recommend skill assessments, they are very effective in determining whether someone actually possesses specific skills. Of the two (Right Person vs. Right Seat), I firmly believe that finding the right person is more important than finding the person with the skills. The point is that you can always train for skills, but you can’t change a person’s belief system. Hire for attitude, not for skills. Train for skills! 2) Trust But Verify. Do Your Homework! The objective here is to truly get to know each candidate. Discover who they are, their core values, motivations, professional history/experience, skills, strength and weaknesses. For this, we will use some simple but very effective strategies. A direct byproduct of honesty is consistency and a direct byproduct of dishonesty is inconsistency. You don’t need to be a CIA or FBI agent, you just need to pay attention and be organized. Review the candidates resume in detail. Pay special attention to those “Woah– too good to be true” sections of the resume. Conduct a phone interview prior to bringing them to an onsite interview. Ask them about that “Woah section,” core values, motivations, skills and their career history. Take note of their answers. Bring the candidate to the first on-site interview. Ask them the same questions you asked during the phone interview and have someone from your company taking notes of all the answers. Does it match with previous answers? If not, confront the candidate in a friendly and constructive manner. Do not forget to ask core value questions – this will help you in finding the Right Person. At this point in the process you should have eliminated between 65-85 percent of all the applicants – that is a good thing. Conduct the second interview at a different day and time leaving at least 4-5 days in between. Again, ask the same questions (preferably in a different way), take notes and compare them with previous answers. Do they match? Ask for at least three references of which at least two must be from previous supervisors – avoid friends and family member 100%. Ask them to provide proof of academic achievements, if applicable. Ask them to complete a personality assessment to validate core values and attitude. You want to test for the most important skills. Those are the skills required to be successful in the position. 3) Hire Slow, Fire Fast. Be Fair With Everyone. Too much is at stake when hiring personnel. You don’t do any good to the candidate, your company, your employees, or your customers if you hire the wrong person and don’t do anything about it. Take your time and do not rush, listen to your instincts and review the data you have collected. Only then should you make the hiring decision. Regardless of the processes, data analysis, and time you take there will be times you hire the wrong people. If you are convinced that you did so, do not hesitate to terminate the employee. Now, I’m not saying to terminate employment based on emotions or personal arguments. Be professional and factual. If they are the wrong person for the job, you’ll have data to back you up. Remember that the decision can have human and legal implications so be fair! Every leader and manager agrees that firing is one of the most difficult decisions that we have to make. As such, I leave you with a short video on ‘How to Terminate an Employee’. I hope it helps!